Intelsat General’s broadband Land Mobile (Comms-on-the-Move) services connect your assets on the ground with our global satellite and terrestrial network for command, control, communications, computers, intelligence, surveillance and reconnaissance. We provide secure and reliable video, data, imagery, and voice services for in-theater operations to enable up-to-the-minute information transfer resulting in better decisions. And better decisions save lives. 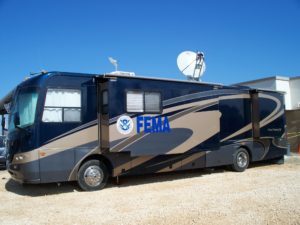 Intelsat General understands that operating in sometimes austere, and oftentimes remote, land mobile environments requires always-on connectivity and the ability to reliably access vital information immediately. 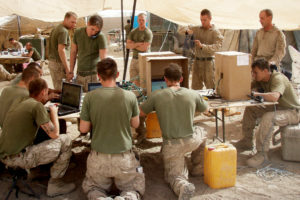 From disaster preparedness and recovery personnel to war-fighters operating in remote land-based environments, reliable and secure communications are imperative.